The story of Sgt. Stubby is the story of a man, a dog, and a nation finding an identity in the world. Part of that identity would involve a new view of women in American society. Our film is told through the voice of Robert Conroy’s sister, Margaret (portrayed by Helena Bonham Carter) to reflect the importance of women as the engine that kept America running during our military’s first global deployment. Beyond the 23,000+ women who enlisted as nurses, the civilian population was drawn into the conflict in previously unimagined ways. Storefronts became recruitment depots, flower beds became victory gardens, and knitting needles furiously churned out scarves and socks to send overseas. American mothers had to say goodbye to their sons for the first time going abroad; in many cases, it was the last time they would spend together. Daylight Savings Bill Passes | Get Your Hoe Ready! Other women protested the war, arguing that the U.S. had no place interfering in European politics when there were serious issues at home yet to be addressed…namely, the cause of women’s suffrage. Still others volunteered to deploy alongside the American Expeditionary Force to the front lines. Though not directly in combat, the women of the Salvation Army, Red Cross, and Signal Corps Field Telephone Operators Unit were a vital – and mostly unrecognized – part of the war effort. Here’s a partial list of some of the women’s groups that impacted the U.S. war effort during World War I. A military commander can only exercise control over the battlefield if he/she has efficient communication networks in place. So when General John “Blackjack” Pershing first arrived in France in 1917, he soon realized a major problem in his command network: the phone system operated entirely in French. So he lobbied the War Department for assistance from the homefront, putting out newspaper advertisements for telephone switchboard operators – at the time, an all-female occupation – who could speak French. Out of the 7,000 applicants, 450 were trained and 223 were deployed to Europe. 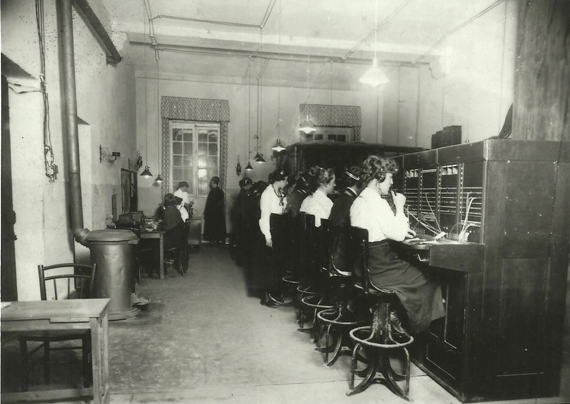 Despite their status as members of the U.S. Army Signal Corps and swearing the same oath of enlistment as their male counterparts, the members of the Signal Corps Field Telephone Operators Unit – more commonly known as the Hello Girls – weren’t acknowledged as having been members of the military upon their return home. Their requests for honorable discharge paperwork, military decorations, or pensions were all denied. It took until 1978 for the Hello Girls to be recognized as combat veterans. The name actually refers to the Red Cross during Vietnam, but the concept begins in 1918 with the Salvation Army. 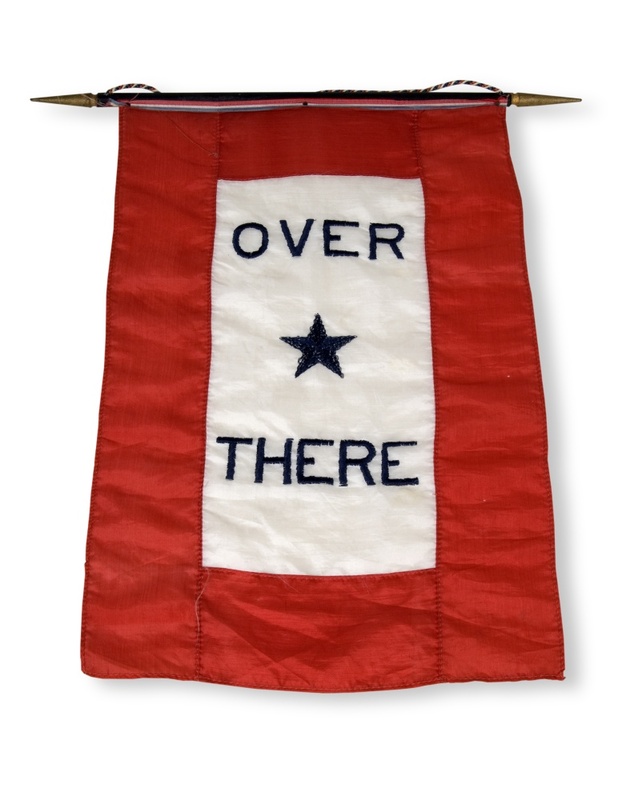 The Service Flag traces it’s roots to 1917 when Captain Robert Queissner of the 5th Ohio Infantry patented the design – a blue star on a red-trimmed banner – as a way of denoting parents whose sons were deployed to Europe. Through a suggestion by the Women’s Committee of the Council of National Defenses, the tradition evolved to include a gold star covering the blue to identify those parents whose children had given the ultimate sacrifice. Every last Sunday of September is set aside to honor Gold Star Mothers, those whose children have died in the defense of our nation. Founded in 1912, the Girl Scout movement was in its infancy when World War I broke out. After the United States joined the fight, Girl Scouts across the nation sprung into action. Girls of all ages found ways to support the war effort, utilizing their skills for ingenuity and self-reliance to raise funds, grow crops, and tend to victims of the Spanish Flu epidemic that ravaged the country. 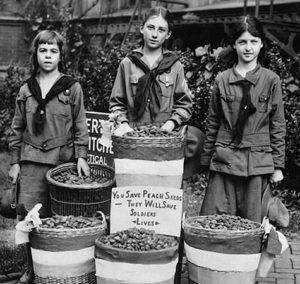 Beyond their service on the homefront, Girl Scouts helped our boys in the trenches by collecting a vital piece of protective equipment: peach pits, which were used to create the filters needed for gas masks. Perhaps the most lasting development comes from Mistletoe Troop in Muskogee, Oklahoma, whose baking project from 100 years ago can still be enjoyed today: the Girl Scout Cookie. Learn more about this important – and often forgotten – period in history when SGT. 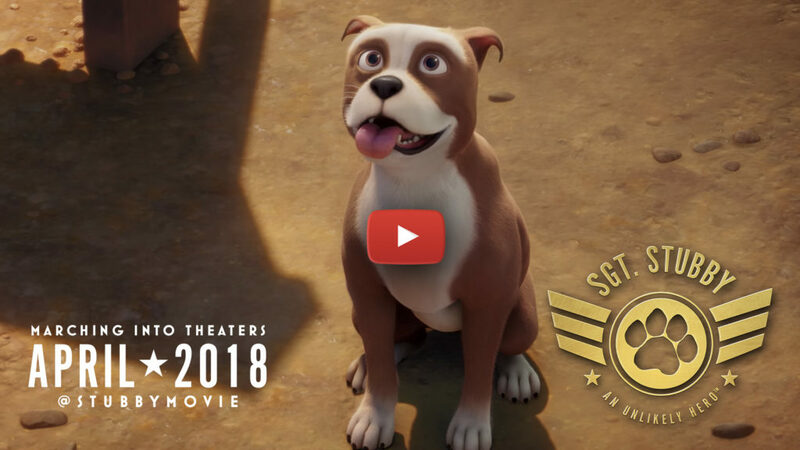 STUBBY: AN AMERICAN HERO marches into theaters nationwide on April 13, 2018!